Opera singing is a high-wire profession. Only the most tone-deaf will not wince when a note is off. It is all too obvious when part of a role lies too high, or too low or, indeed, hovers too much around the centre of the voice, for a particular singer. Audiences reach out in empathy when a singer arrives ‘sung out’ at the end of an opera… or prepare to boo. Dancers, and certainly actors, can fudge it a little. Modify a step or change the staging. If you are an actor and you dry, you can add in a dramatic pause, or make a bit up; try that when you’re singing with an orchestra and chorus. What happens if you get a soprano, mezzo, tenor and bass together? Well, they could make beautiful music together, or they could answer some impertinent questions about how an opera singer chooses and prepares for a role. 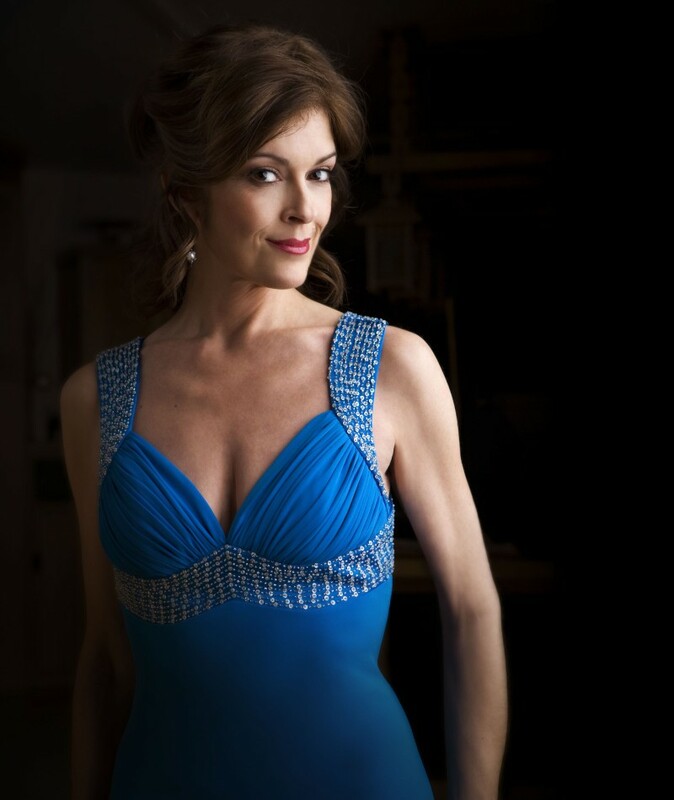 Barbara Frittoli, Jennifer Larmore, Gregory Kunde and Luca Pisaroni make up our stellar quartet. On occasion, I have proposed a role to an opera house and it has been done, but for the most part, they have already decided what they want for their season and if there is something for me, all the better! There are some theatres — mostly in Spain — that ask what I’d like to do, but on the whole, we wait for their repertoire lists and ask them to consider me for the roles I’d be right for. It’s something reciprocal — says Pisaroni — as sometimes a new role is offered and occasionally I tell theatres that I’m ready to take on a new role. It’s not always easy to convince them to risk giving a role to someone singing it for the first time, though I have always been very open to offers: Cavalli’s Ercole Amante [De Nederlandse Opera] or The Enchanted Island [Metropolitan Opera] or Martin y Soler’s Il Burbero di buon cuore [Teatro Real]. I find one of the most interesting aspects of my work is being able to continually discover something new. I don’t think you ever know until you sing through it totally. One usually can just guess when you read through the part, but until you sing it, you don’t really know. And hopefully, your decision is correct when you get into production and begin to sing it with the orchestra. I also think that the older one gets, the easier it gets to choose roles. Experience is invaluable. Frittoli has a method for taking away some of the guess work. Usually I’ll go and see which singers have sung it to understand what type of vocality is necessary and what the audience will be expecting to hear. Then I take up the score and analyse it to see whether it suits me, even if that goes against my initial research. There have been times when a role was suggested and my first response was a resounding NO! Then I relaxed, took the score to the piano, sang it through, and realized that I was wrong in my first reaction. One such role was Lady Macbeth from Verdi’s Macbeth. Never in my wildest dreams did I ever imagine singing Verdi roles, but when I looked at the music, and sang through the role, especially the last scene, I realized that it was written for a bel canto voice! Verdi write “ppppp” in more than one instance, he wrote trills, coloratura and passages which clearly require a bel canto technique, finesse and an understanding of vocal colour. That’s how you know if a role is right for you. You research it, you sing through it, you try to understand what the composer has written and if your voice is adaptable to it. When I explored Gounod’s Faust what I saw on the printed page was very difficult, yet when I was on stage I felt it very suited to my voice. Sometimes a role can seem easy when you first read the score yet when you start to study it you realise that it’s more difficult than you thought; you never know if the role is right for you until you really start to study it. I’m convinced that a singer must try and push their vocal limits and try to explore their dramatic potential to understand in which direction the voice may develop. So, can the initial study give false security, and only when you dig deeper you discover that it’s not a role to sing? “Unfortunately, yes!” says Frittoli without hesitation. When I was doing Busoni’s Doktor Faust in Zürich some years ago, Mr Pereira offered me their revival of Siegfried. I consulted with my ‘Wagner/Opera/Everything’ expert, Tom Hampson, and others, who advised me that it would be a good move. I also thought it would be a good fit, but after about three months, I had second thoughts and decided against it. It was the wisest thing I could have done. Two years later, I began my ‘new career’ as a Verdian. I’ve never looked back. I would never agree to do a role and sign a contract if I wasn’t one-hundred percent sure I could do it. In fact, I can’t do that and live with myself! I like to study a lot before accepting a role and understand whether it’s for me. Though, of course, a voice can change in an unexpected manner so that a role that previously seemed feasible doesn’t suit the singer any longer. Yet could it happen that a role isn’t ideally suited to a voice, yet the character is a so fascinating, the music so ravishing, the opera such a masterpiece, that turning it down is impossible? Frittoli’s response? That wouldn’t be possible for me because I don’t like to step on the stage unsure of myself. The role and the music have to fit me or I don’t feel good about it. It has never happened. There are roles that are more difficult than others and require more preparation, but generally if a role doesn’t fit me my voice won’t accept it. I think perhaps agreeing to cover Chris Merritt and do performances of Guillaume Tell in 1989 was risky and a bit too soon to sing. But, I sang it with my voice and had a great experience doing it. That job put me in front of many people who would become very important in my career most importantly, Alberto Zedda whom I auditioned for during that time. It took another two years before I saw any benefits from it, but I finally made my La Scala and Rossini Opera Festival debuts within a month of each other all because of that audition. So, the role has been accepted. Rehearsals are still a while off. What happens now? It depends on the complexity of the role — says Larmore — but every role one does takes time to get into the voice and the mind. Learning a role doesn’t only mean the music. It means doing research on the period, the composer, the music itself, learning the actual notes, making a translation if it’s in another language, knowing the story and where your character fits into that story, how they relate to the other characters, what it all means as a whole. So, it’s a lot to consider and a singer can never underestimate the magnitude and importance of preparation. Personally, I shut myself up in my music room for many hours per day to get the job done. 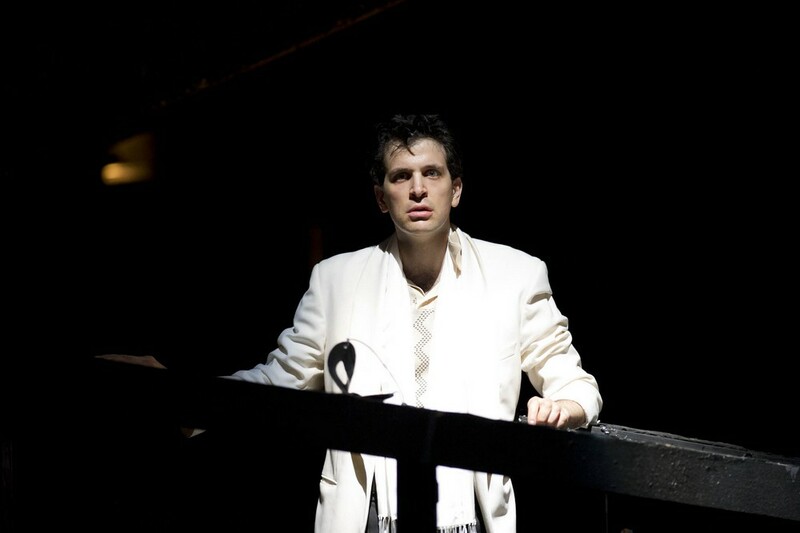 Once the new role is onboard, Frittoli prioritizes the character and background before the musical aspect. It is important for me to define the character: I read the libretto and go and discover what it’s based on… story, novel, legend… to understand what evolution has taken place to bring it to the opera stage. I try to maintain aspects that are present in the original text to enrich the character with subtler shading. I study the relationship she has with other characters and how they interact. For example, Verdi’s Desdemona is almost an angel, yet in Shakespeare she is more practical, more like a real woman. I am able to read and interpret the reactions of her character better if I know her backstory, knowing how she should react to the different people in her life: Iago, Cassio, Emilia, and so on. In the end, I need to concentrate on the character in the libretto, of course, but I try to learn all I can. Then, when working with the music, it is possible to apply the most suitable vocal colours for each situation. I begin to get familiar with the role as soon as I accept it. Then about six to eight months before, I start to play through sections at a time. After I feel I’m familiar enough with the role, I try to listen to or watch at least three historic performances of the piece. I’ve always been one that wants to know the entire piece before I start to memorize. Memorising a role is an obvious part of the preparation period, and Kunde has a neat trick up his sleeve for doing that. Singing many different operas during the year and learning new ones — “and there is hardly EVER a prompter” — means that the text needs to be thoroughly burnt into the memory. About two to three weeks before the first rehearsal, I write the entire text of my role on 3-by-5-inch index cards which I use to memorise. I will use these cards for perhaps the first ten days of rehearsal to solidify the memorization. It is sometimes annoying to stage directors, but it is my method. It is obviously essential to set aside enough time for preparation — to understand a role, to be immersed in its music, and learn it from memory, is something that cannot be rushed. I believe that it is essential to arrive well-prepared so that the rehearsal period can be used to refine the technique and to be able to develop the role dramatically. You need to give yourself, and your voice, time to mature and grow in the role before arriving at the performances. Surprisingly, there is usually no, or little, contact with the conductor until the beginning of the rehearsal period. 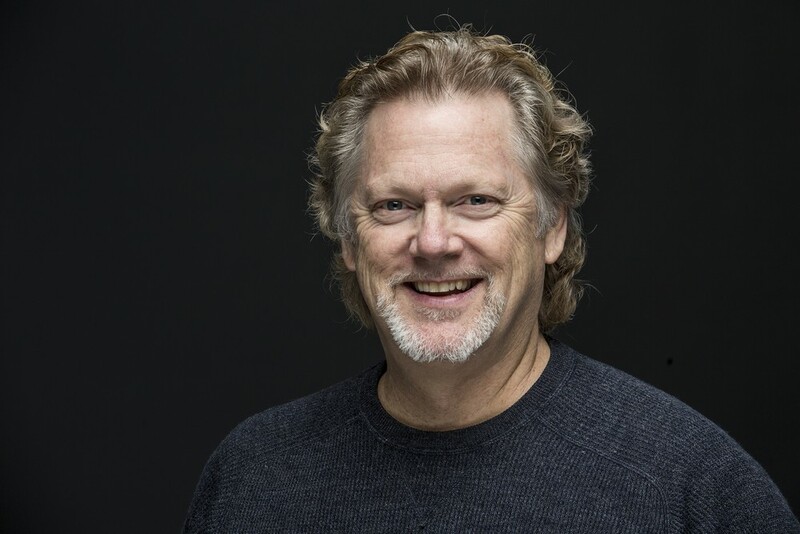 It is very unusual today for me to see the conductor before the rehearsal period begins — says Kunde — unless you work together in the weeks or months prior, it’s really not possible with the full schedules we all keep. These days, the conductor sometimes doesn’t even show up until weeks after you’ve begun rehearsal. I say ‘these days’ because in times past, we had the conductor from day one. It is not that way now because all the power is in the hands of the director and the music has taken a back seat to the staging. So, we are thrown onstage the first day without ever having talked to the conductor or had a musical rehearsal. That’s why we have to be musically sure for that first day. Sometimes we go weeks with staging, getting used to a certain tempo and feel for the music, then the conductor comes in a week before the dress rehearsal and changes everything. It’s very frustrating for the singers because we feel we are starting all over again when we should be polishing the music and character for the performances. However, Frittoli often seeks out the stage director. Above all, I want to know what to expect with the staging and what leniency of interpretation I’ll be permitted if there is something in a pre-existing production that doesn’t convince me. We are all so different. Of course, if in the course of my preparation I do meet someone who has done the role, I ask them what it was like for them. This doesn’t help a lot as it will be a completely different experience for me. However, Pisaroni has a different outlook. I absolutely seek out advice from colleagues, especially when the role is new and I’m not sure whether it’s right for me. I think asking a singer who has already tackled a role for ‘tricks’ is important, not for copying, but for helping to resolve some of the technical difficulties and even, maybe, finding a new way of interpreting the role. But all four listen to recordings. It’s the last thing I do — says Frittoli — to avoid preconceptions and to be able to maintain a personal interpretation. And obviously, I observe the things which strike me both positively and negatively. Larmore finds it helpful in that it slots the complete musical picture into place. Yes. I find it helpful to a point in that you can hear the orchestral colours. It also allows you to hear how it all fits together as a whole. 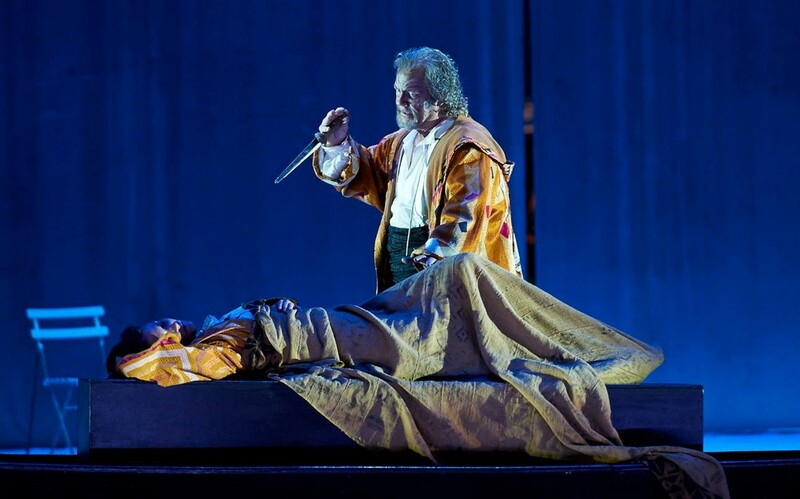 Pisaroni says that he is always listening to recordings plucked from the entire repertoire, not necessarily of operas he is preparing for, or of ones which may offer him a part in the future. The truth is that I’m a real opera fan. Listening to the great singers of the past helped me to form my musical taste, to understand what musical intentions I want to develop, and what aspects of a character I want to underline. It’s also interesting for me to learn how the greats resolved the technical demands of the most difficult passages. …only for reference purposes. Not even for pleasure, unfortunately. The life of a busy tenor. A fine English baritone once told me that he was secretly frustrated singing Baroque music as he’d always wanted to sing verismo roles, but his voice gave him no other option. I asked our singers here if there was a role that they would like to sing but couldn’t because of its unsuitability vocally. 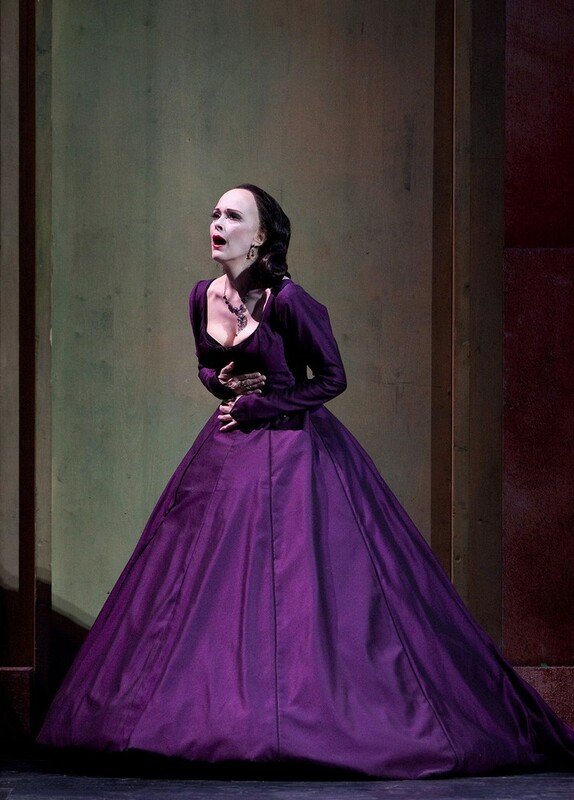 Barbara Frittoli says that there are many, “but above all… Lady Macbeth!” Verdi’s Lady Macbeth, that is. 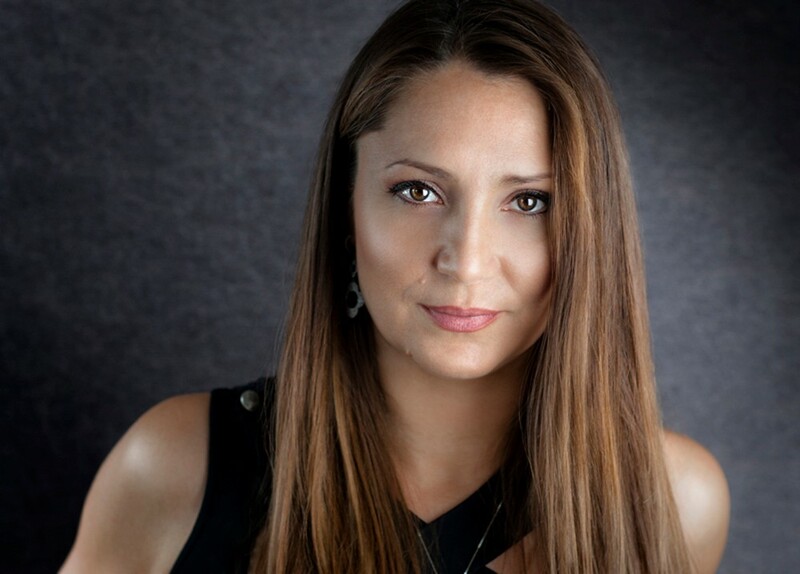 Playing a “fiend-like queen” is an attraction for our soprano and mezzo… and the men? 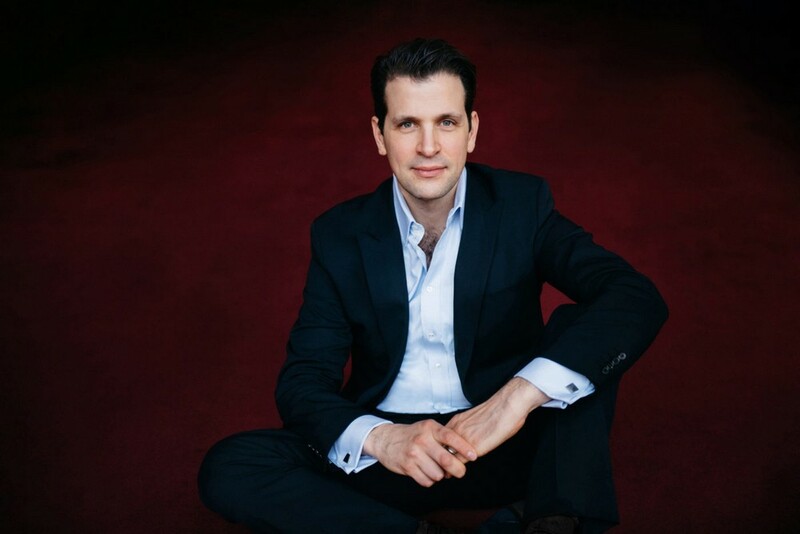 There are many roles that I would like to sing, but I know it wouldn’t be wise — says Luca Pisaroni — and waiting [for the voice to mature] isn’t easy, but then that’s one of the great things about being a singer: the constant challenge to reach new goals. Life without dreams isn’t worth living. If you had asked me that ten years ago, I would have said the names of several roles, and those roles would have been every role I’ve sung in the past six years! Then we start to repeat things I know!!! And hopefully Cavaradossi… somewhere… sometime! Mustafà is a role that I adored from the first time that I heard it with Michele Pertusi in Jean-Pierre Ponnelle’s beautiful production. Another new role will be Pizarro in Fidelio. I’m grateful that La Scala have offered me this ‘baddy’ role in German, a language that I love. Every role that Larmore has sung during the past five years has been new to her. After a career as a mezzo singing predominantly Rossini roles, she has tackled Verdi’s Lady Macbeth, Kostelnicka in Jenůfa; Valencienne in The Merry Widow, the title role in La belle Hélène, Elvira in Don Giovanni, Mére Marie in Dialogues of the Carmelites; Eboli in Don Carlos, Marie in Wozzeck, and Fidalma in Il matrimonio segreto is coming up. Phew! The way I think of it is this. I feel very lucky and honoured to still be singing so many interesting and wonderful roles at this time of my career and life. I will never complain about having to study hard or learn new roles. It’s a privilege! It’s the cherry on top! 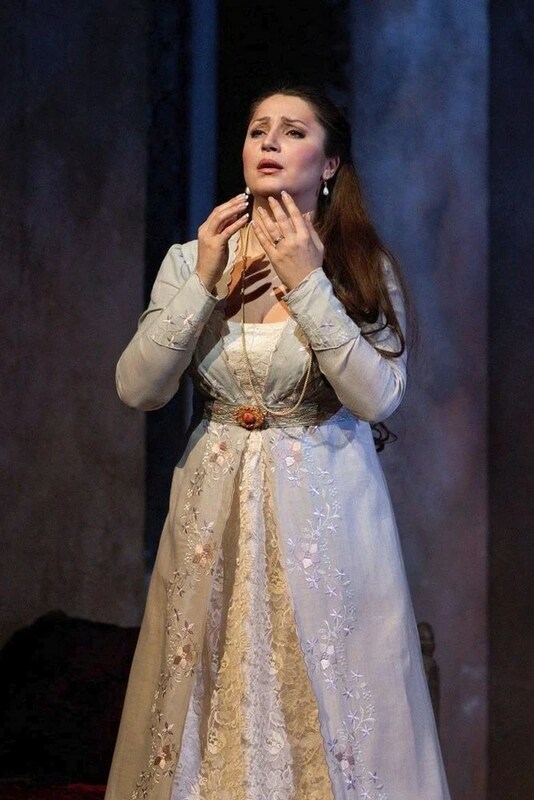 The excellent Carmen from the Metropolitan Opera with Barbara Frittoli as Micaela is available on DVD. The catalogue of her many CDs and videos by can be consulted here. 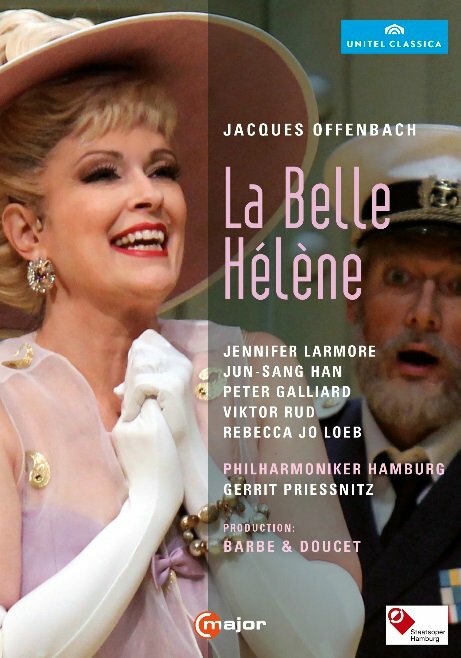 La belle Hélène from Hamburg Opera with Jennifer Larmore in the title role is available on DVD. Her biography Una voce is available from Amazon. The catalogue of her many CDs and videos by can be consulted here. 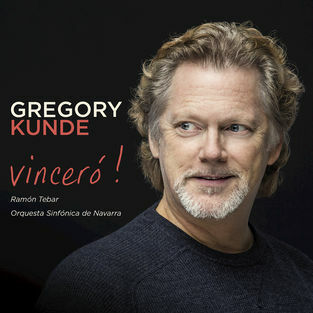 Gregory Kunde has just released a new disc called Vincerò which is available on Amazon and can be downloaded or streamed from most online services. The catalogue of his many CDs and videos by can be consulted here. 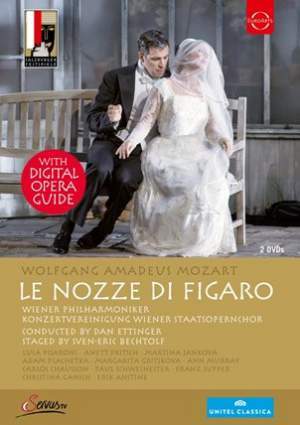 The video of Le nozze di Figaro from the 2015 Salzburg Festival with Luca Pisaroni as the Count is available on DVD, as is the 2012 recording of Figaro from Paris which finds him playing Figaro, with Barbara Frittoli as the Countess. The catalogue of his many CDs and videos by can be consulted here.